This room is located on the ground floor of our hotel and is ideal for a couple looking to holiday with a child. The window overlooks the traditional walking path that is synonymous with the landscape. In addition to the single large bedroom, it also includes a private bathroom with shower, refrigerator and other modern amenities. The pool can be accessed very easily and here you can have fun splashing around with your child or enjoy soaking up the sun and experiencing the true beauty of Santorini. 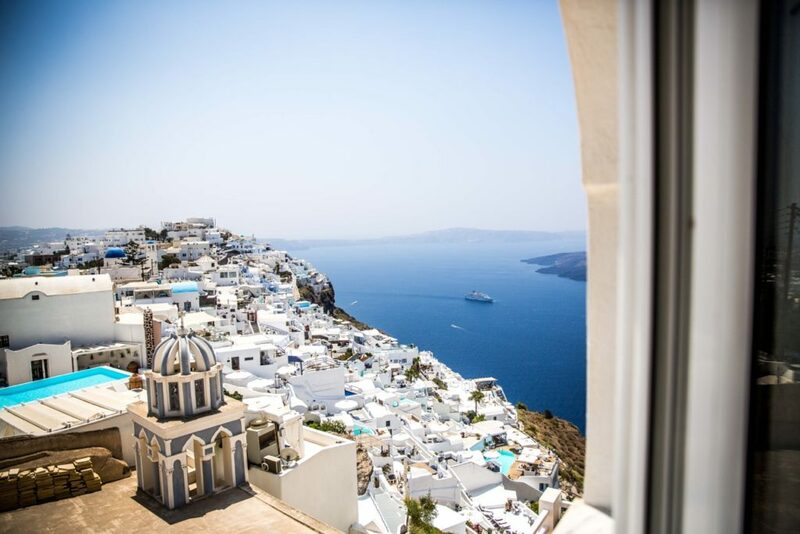 Our hotel has unobstructed views providing a panoramic view of the Island … the Caldera gulf, volcano, Firostefani village, Akrotiri and Thirasia Island; a view that we never tire of looking at. When you experience it for yourself, you will see why!